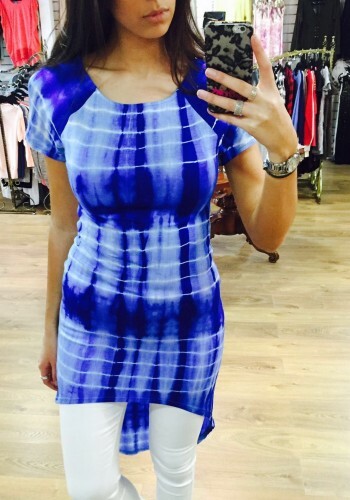 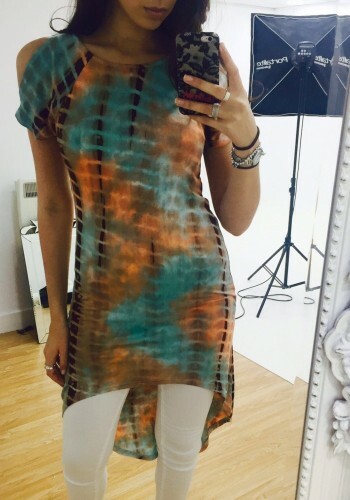 Stand out this season with this super stunning tie dye printed top! 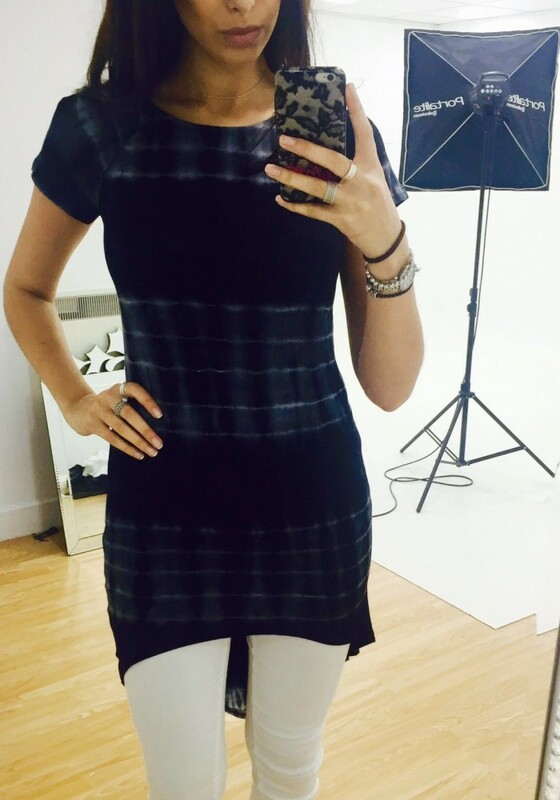 Elegant cold shoulder detail and dipped hem finish! Perfect over leggings or jeans for day or night!